Corporal Colita "Colear" Ellis Dobyns, born June 26, 1894 Bedford, Virginia. He was married January 10, 1915 to Lola M. Bell Swain. He served in the U.S. Army 38th Infantry Regiment, Company K, 3rd Division and was killed at Belleau, France August 9, 1918. He was buried in the American Cemetery at Belleau, France. 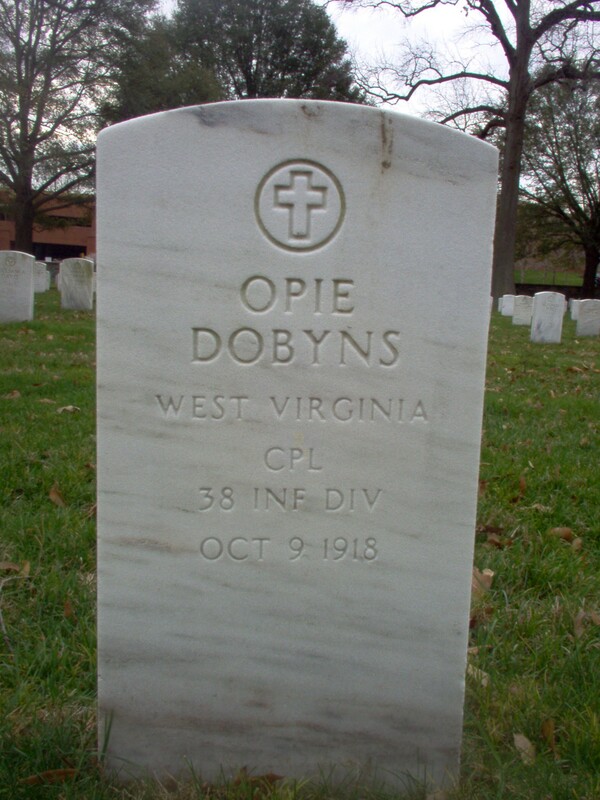 Private First Class Opie Dobyns, born April 23, 1897, Bedford, Virginia. He served in the U.S. Army Company K, 38th Infantry Regiment (same unit as his brother, Colita Dobyns killed 2 months earlier). He was killed October 9, 1918 Belleau, France, and subsequently returned to America and buried at Arlington National Cemetery. 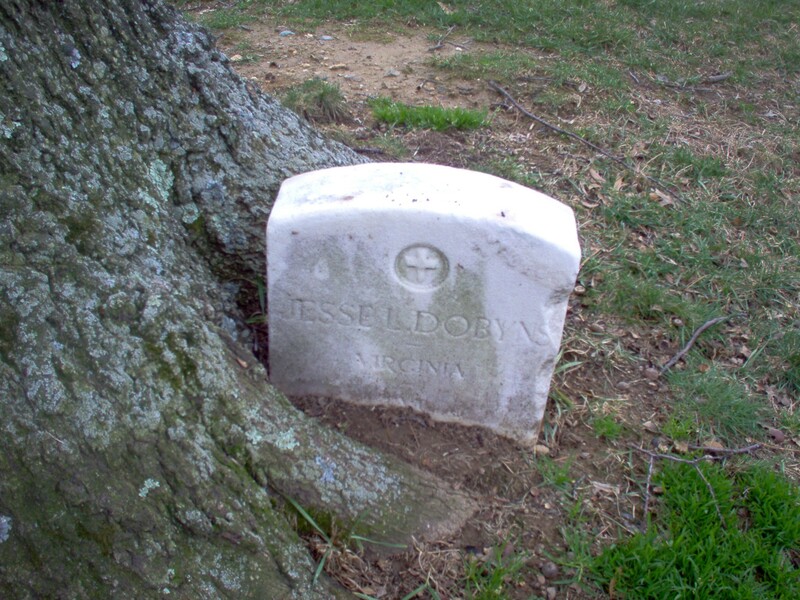 Private Jesse Lee Dobyns, born March 19, 1896 Bedford County, Virginia. He served in the U.S. Army 6th Ammunition Troop Company E. He died of pneumonia October 24, 1918, at Belleau, France (2 weeks after his brother, Opie Dobyns, had been killed). He was subsequently returned to American and buried in Arlington National Cemetery. NOTE: There is no information why he was not returned to Arlington National Cemetery to rest with his brothers.